Sleep is important, everyone knows that. However, if you’re a night shift worker, finding the balance between work and sleep might be tough for you. Want to learn how to get enough sleep when working night shift without sacrificing other activities? Shift working is pretty common. According to 2017 research, up to 20% of Americans work either night or rotating shifts. About 40% of shift workers experience a condition called Shift Work Sleep Disorder (SWSD). The most common symptoms of SWSD include fatigue, headaches, difficulty with concentrating on tasks, and slower reaction time. According to another report from 2004, workers who had 12-hour night shifts were more likely to develop substance abuse than their colleagues who had a regular schedule. Some studies claim that rotating and night shifts are linked to such metabolic disorders as diabetes and obesity. Night shift workers who had seven consequent night shifts had better sleep quality and working performance than those who had only four, another study found. If you work at night, you may want to install a red light lamp near you. The Ohio University study conducted in 2013 showed that hamsters exposed to red light at night had less pronounced depressive-like symptoms and mood swings than those who were exposed to white light. Scientists believe that such findings might be applicable to humans and assume that this can help shift workers eliminate the risks of mood disorders due to work. Now, you might have thought that changing the job is the best solution for your health. While it can be true, it’s not always possible. Which is why I’ve prepared a few tips to help you cope with irregular working hours more effectively and eliminate the negative effects on your health as much as possible. Getting ready for the night at work is about as important as what you do during the shift. Am I saying that it’s possible to score some energy in advance? Shift your schedule. 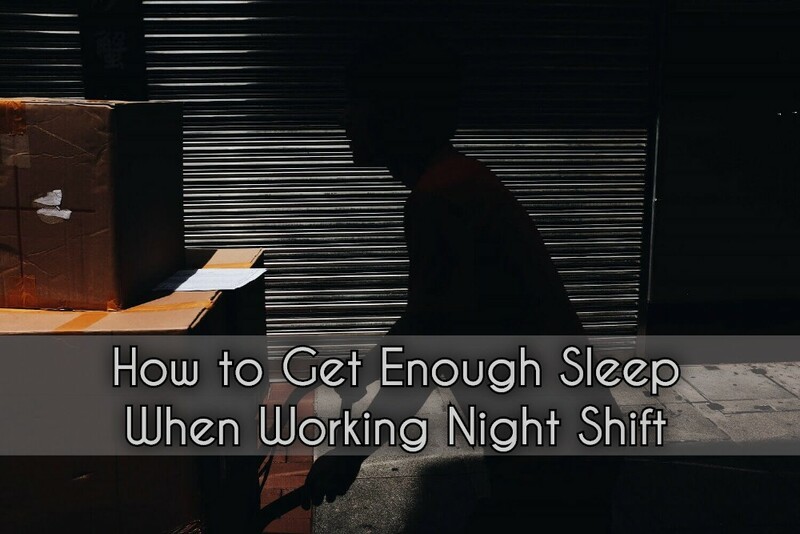 If you’re going to be a night shift worker for the first time and have days to adjust, shifting your schedule is exactly what you need to do first. It is proved that the human body adapts to a new sleeping pattern in about 4-5 days. Therefore, gradually shifting wake and sleep time for 2-3 hours will make coping with the night work easier. Try short sleeping. If you can take a nap before work, it will reduce your sleep debt and add some alertness. Night owls manage shifts easier. If you are an early bird, a long nap for about 3 hours before the night shift is a must. Some night shift workers mention that exercising helps them in staying alert. Cardio workouts — such as swimming, jogging, or cycling — will do best in this case. Coffee and other stimulating drinks are a great way to keep yourself awake throughout the night. But they might also be the reason why you can’t sleep after a night shift. See, if you drink coffee a few hours before bedtime, for example, on the way home after the shift, it will give you an unnecessary energy boost, which may result in troubles falling and staying asleep. Therefore, leave caffeinated beverages for the first half of the night shift. Your power nap should be about 30-40 minutes long. See, if you sleep further, you may enter the deep sleep phase. Waking up from this phase is likely to lead to sleep inertia, and it will take a few more hours to finally wake up. It is best to fall asleep before 2 am. That’s when the most restorative sleep occurs, so you will score yourself some rest and will stay more alert. You can also combine drinking coffee and napping. Have one cup of coffee and go catch some Zs for 15-20 minutes. During this time, caffeine will kick in and you will wake up more energized. So, your shift is over. You come home and fall face down on a pillow. How to prevent the world from bothering you and get the most peaceful sleep possible? Switch off. You can let your family and friends know that you got home, but after that, turn off your gadgets and go to bed. Don’t check social networks, as the blue light from the screen of your device can interfere with your level of sleepiness. Remove unwanted noise. Daytime is actually quite loud. But you can limit the effect of sounds on your sleep. If your windows are not soundproof, then earplugs or a white noise generator will help you fall asleep without being distracted by sounds from the street. Create darkness. Sunlight naturally suppresses melatonin production, preventing you from falling asleep. That’s why blackouts or sleep mask for night shift workers are an absolute must-have. Minimize contact with sunlight on your way home as well. Dark glasses and a hat can help you here. Exercise. Regular physical activity is needed not only to maintain a lean and muscular body. Training also normalizes hormones and increases stress resistance, which means it can help you fix your sleep schedule more easily. Follow a healthy diet. Sleep deprivation can make you more impulsive in choosing food and result in cravings for baked foods or sweets. So, controlling your diet is highly important. Make sure you get full and healthy meals at about the same time of the day. Stick to a sleep schedule on days off. Yes, the temptation to stay up and have fun is huge, but one such night can easily wreck your whole routine. Take supplements like melatonin and magnesium. They calm the nervous system and make it easier for you to fall asleep. But don’t forget to consult your doctor first. He or she will help you find the right dosage. 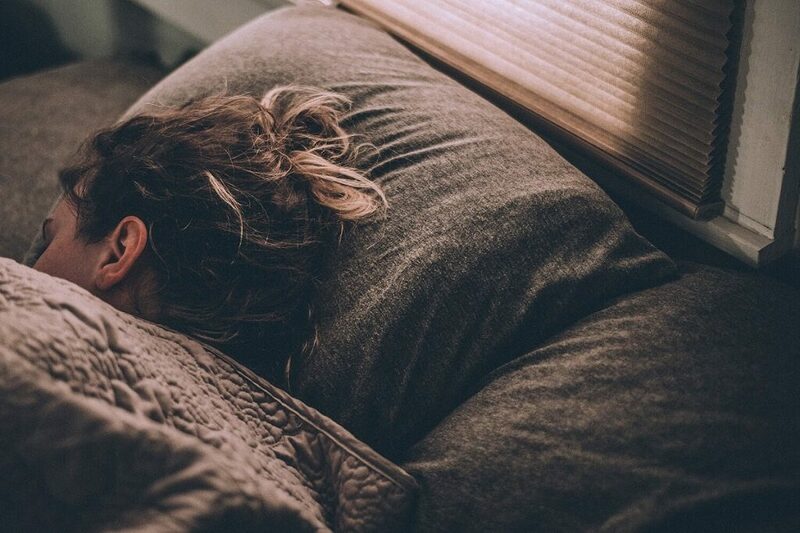 If you only work at night and have four or more night shift per week, you might actually want to stick to your night shift sleep on days off as well. Thus, your schedule remains consistent and your body will eventually adapt to new working hours and give you the desired productivity. Are you a shift worker? What are your ways to cope with your night shifts? Please feel free to share in the comments below!